Are you tired of the stale odor that is coming from your carpets? By following this easy guide you can be assured that your carpets are always clean and ready for company! Sweep or vacuum your carpet thoroughly to remove loose dirt and other foreign particles. Keeping your carpets swept on a daily basis ensures that odors will not build up over time. After you have swept it is a good idea to vacuum the carpet. This will surely pick up any debris that is embedded deep within the fibers of your carpet. 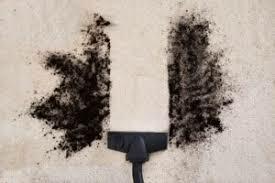 Debris that is trapped inside your carpet is responsible for any unpleasant odors. It is best to start with a clean vacuum cleaner bag to ensure maximum cleaning. Before actually shampooing your carpet you will want to treat stains. Usually, mixing detergent and warm water is enough to treat stains. You may have to let the solution set for a few minutes for tougher stains. When treating stains always blot and avoid scrubbing as much as possible. This will prevent the stain from spreading or becoming deeply embedded. After you have treated the stains you can now begin thoroughly cleaning the entire carpet. Use a mild detergent with a cotton towel to minimize lint and repeat until the entire floor is damp. After cleaning you need to rinse with warm water. This step simply involves scrubbing the carpet with clean water until all the soap is gone. It is important that you remove all detergent. Avoid stepping on your carpet while it’s wet. Give the carpet several hours to completely dry before use. Afterwards, your carpet will smell fresh and will be appealing to your family and guests for your next gathering!